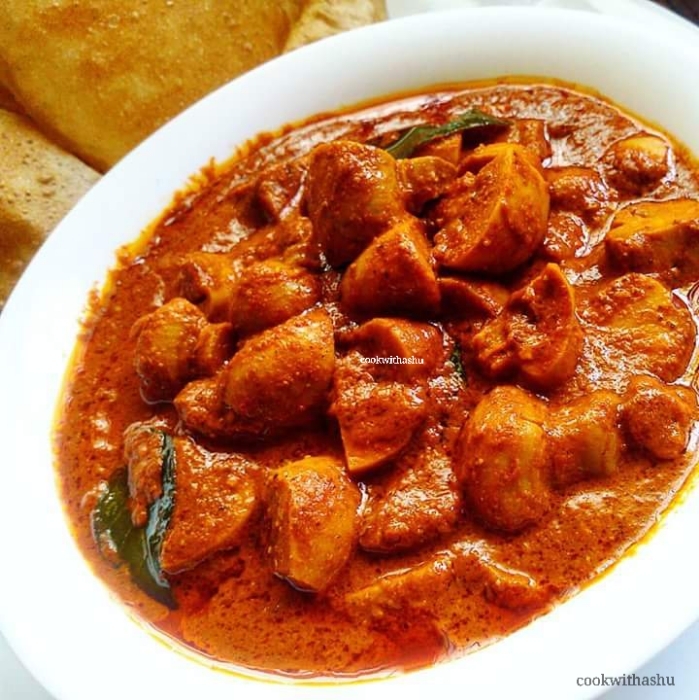 Here is a Restaurant type classic ghee roast masala which can be easily made at home and enjoyed….. Here the masala is made with ground red chilles and tossed in generous amount of ghee to balance the spiceness and taste….the colour of dish looks firey red,its served as dry for starters or as semi dry gravy and served as a side dish ☺… The classic combo for any gheeroast is manglorian popular neer dosa(recipe in my blog , do check it).. 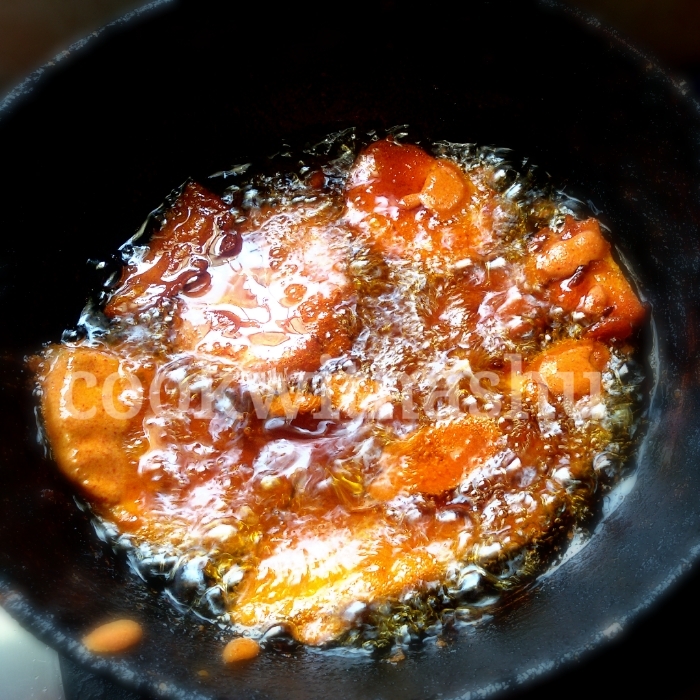 Various types of ghee roast can be made like fish, prawns, crab,squid,potato,paneer,babycorn,chicken,eggs and so on…. you can see few other gheeroast recipes in my blog ☺ ..
▪Add curry leaves, kasurimethi , salt if required as we have already added for marination give everything a good mix and just boil for a minute or so..
▪Now mushroom gheeroast is ready to relish as a starter or as a side dish..
Now you can find these wonderful muskmelon fruit every where abundantly for a reasonable price so enjoy making this fresh at home and relish …. 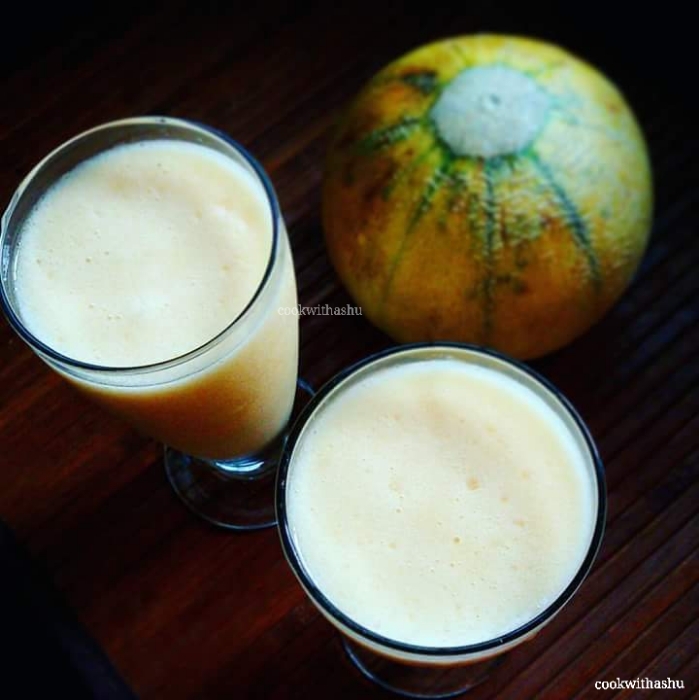 You can even make a dessert out of it using coconut milk jaggery known as Harshale in konkani language(recipe already in my blog please check it)…. Blend altogether in a juicer or mixer, and your juce is absolutely ready to enjoy chilled!…. 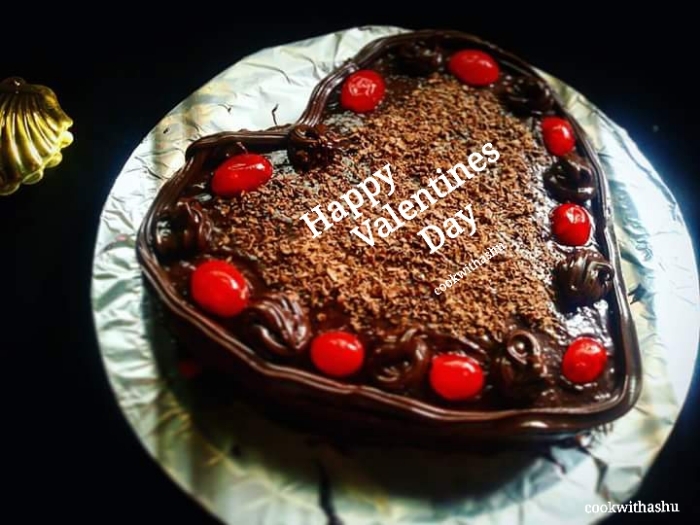 I had seen this recipe in “Bake 123″in food food channel…. ▪In a bowl add maida,cocoa,soda ,mix well n seive 2 or 3 times. ▪Add milk,2 tblsp milkmaid and mix. ▪To this add flour mixture little by little in 3 portions add water and beat well . ▪grease and dust a cake tin,pour batter and bake cake for 30 -35 minutes (or more bake till toothpick comes out clean)..let the cake untouched for 10-15 mins. 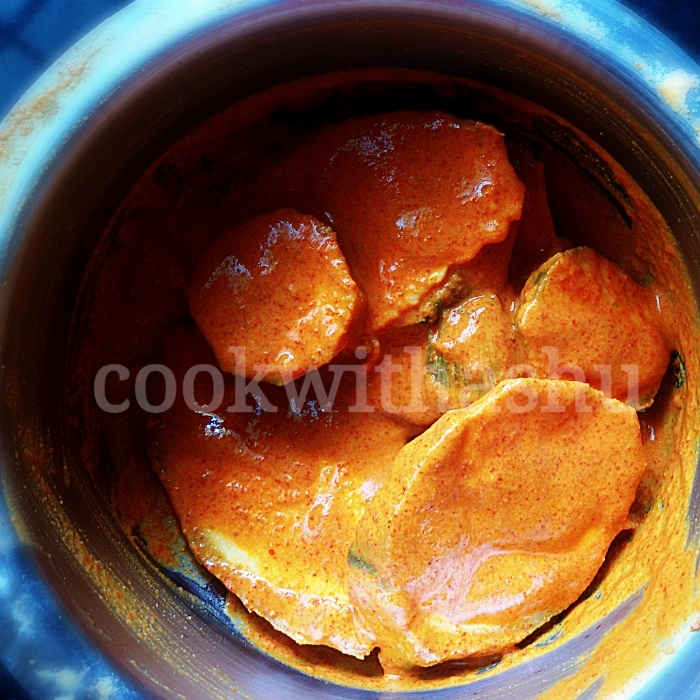 Ghee Roast is the one such dish which is loved from all kids to elders…. 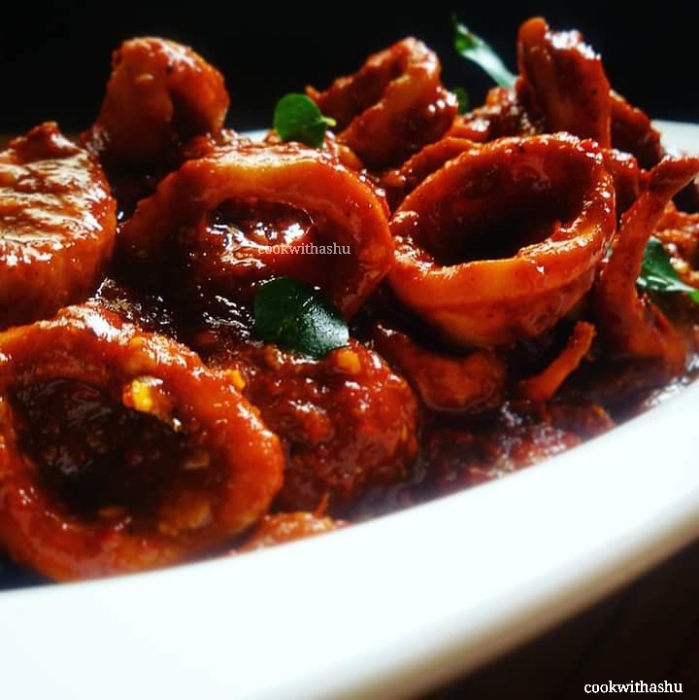 Squid are also known as calamari/Bandaas… This fish has no thorns or bones in it so one can enjoy it easily …. The ingredients used here are very handy and can be made very easily…. I like to say here that any fish dishes tastes heavenly the next day or with a duration of time after its prepared , if you make it in the morning enjoy it in the evening, by doing this tastes doubles,i know we can’t wait for it 😜but can enjoy it instantly no problem 😊 …. This is a keeper recipe,on guests sudden arrival or during get together as it saves time at the same time tastes the best! 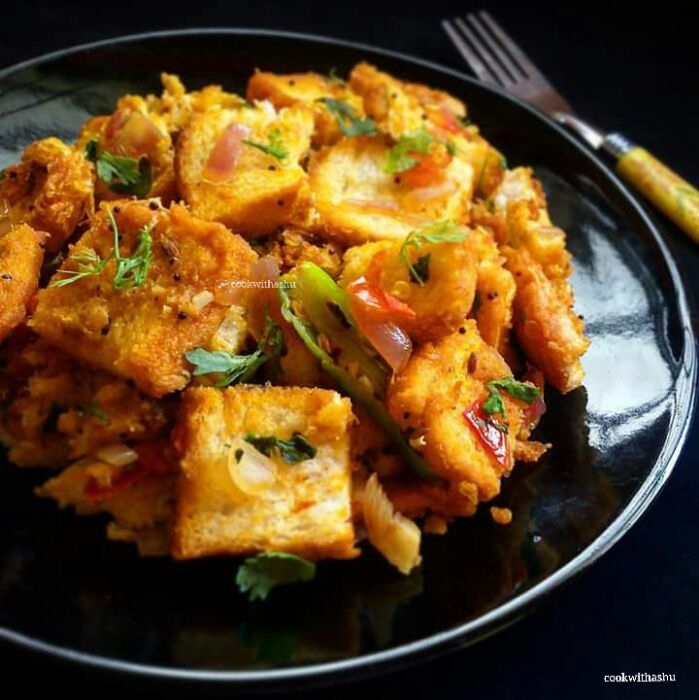 ▪add curry leaves,salt if required , give a good mix and enjoy..
▪This is perfect combo to neer dosa/as a dish..
▪alternative to squid you can use paneer ,chicken, potato, eggs.. 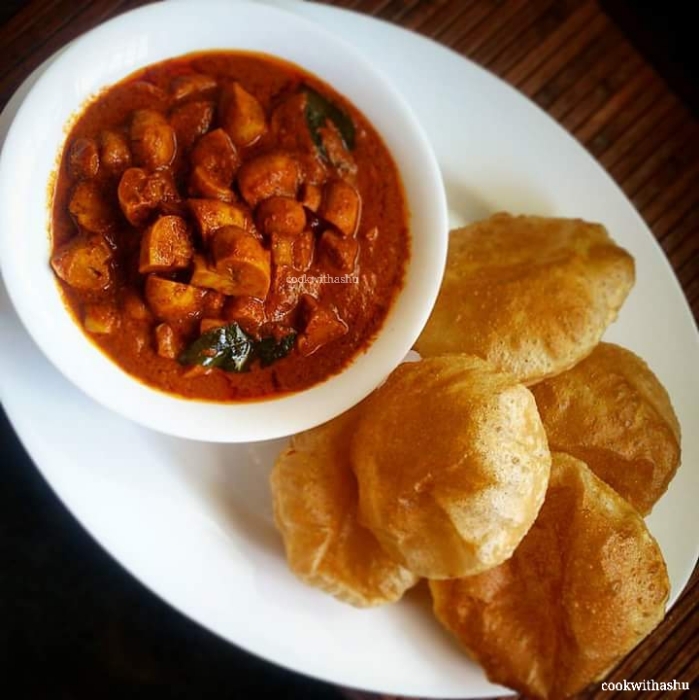 Here is a simple and an easy recipe which can be made instantly……Best recipe for using breads laying untouched…. * you can even add sprouts,eggs to the recipe..
*any bread can be used,but tastes awesome with milk bread.. 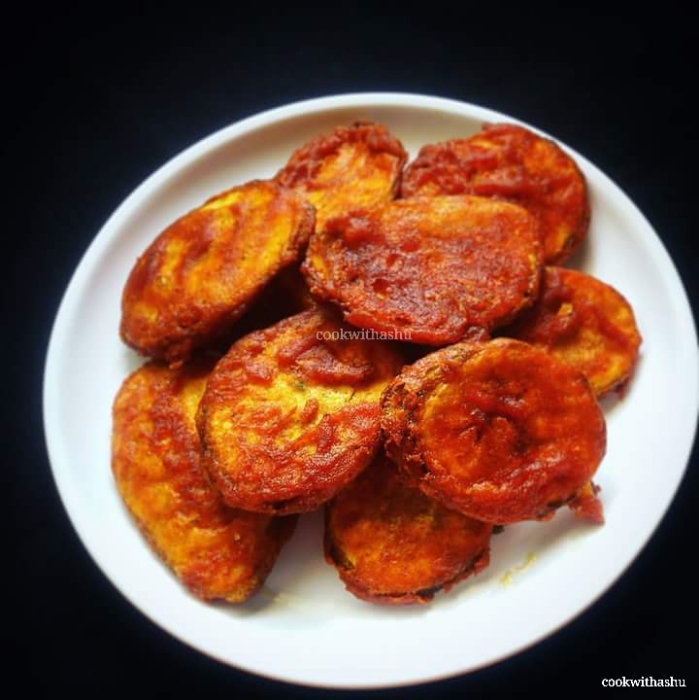 They are also popularly known as podis….The same recipe can be used for lots of other veggies which i have mentioned at the end of the recipe….Do try this simple recipe where ingredients are very much handy…..
▪add banana discs, coat well ..
*Adding too many pieces in a small kadai may result in soggy fritters. 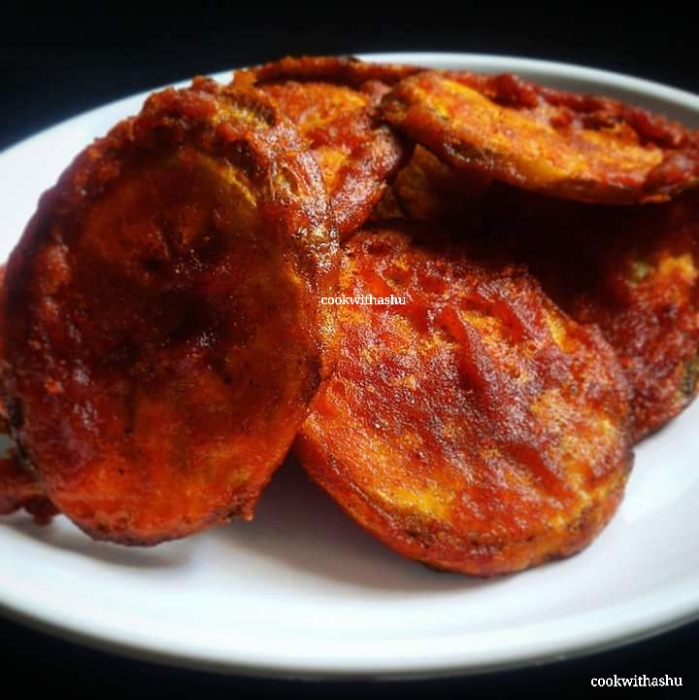 Godi anni Cheppi Surnali Maggi Ghalnu is what called in konkani Language….. 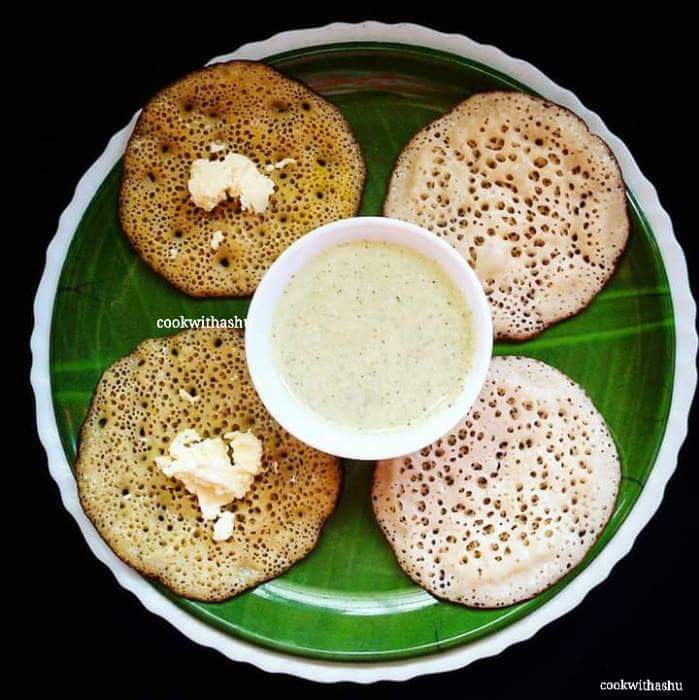 Here you can see two verities of pancake made using same batter ….The pancake with little yellowish in colour is sweeter version served with fresh butter and drizzled with honey … The other one is the normal pancake served with spicy coconut chutney…. so enjoy eating, double damakka with one batter :)☺❤…. *this dosa are usually cooked one side…..or if u like can cook both sides on problem..
*Usually this dosas are thick but you can spread thin to make it crisp also using normal batter but for sweet dosa its preferred to be thick and spongy ..